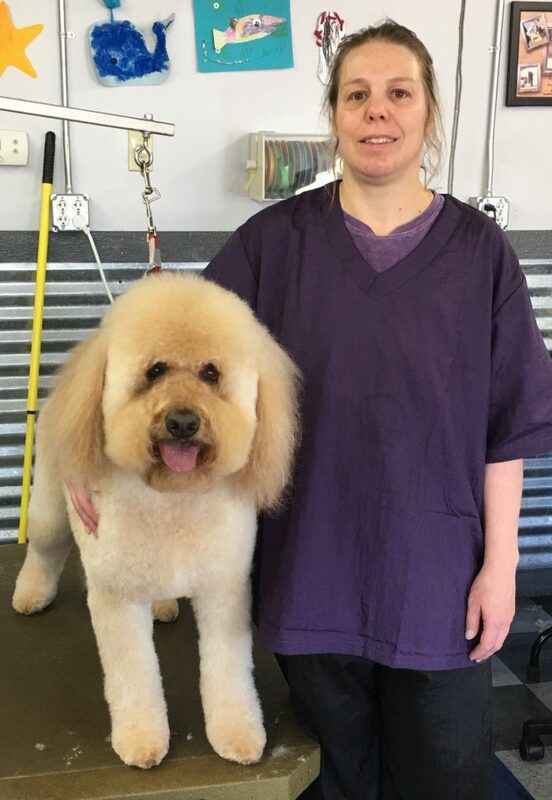 Stacey and her staff provide show and pet grooming for all breeds of dogs and cats. 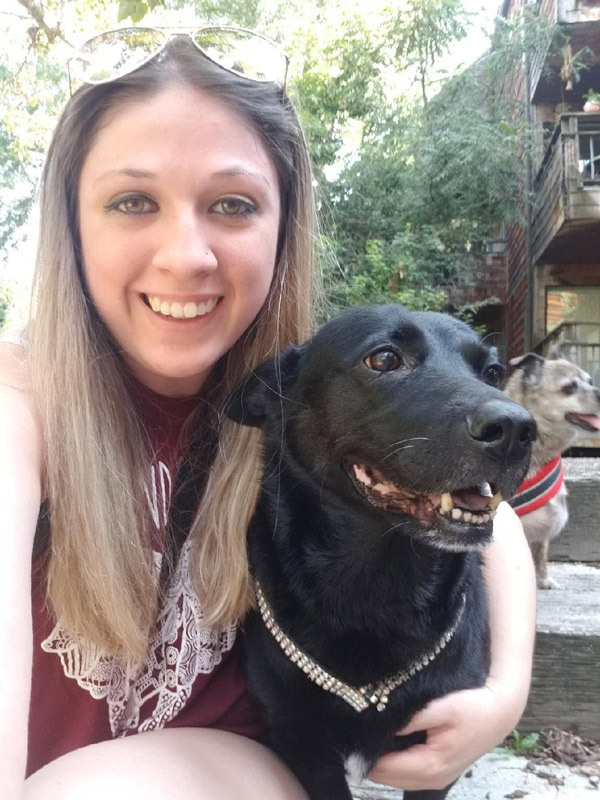 With 35 years of experience including 13 years working as a full time Veterinary Technician and Clinic Manager, all aspects of health are taken seriously by Stacey and her associates. 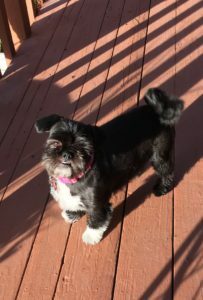 Stacey is actively competing in Agility with all three of her dogs and has titled and shown her dogs in breed, agility, and obedience. Stacey teaches dog agility foundation skills that focus on teamwork, teaching dog confidence to work whether away from, or close to the handler on the agility course. Ask about the 4 D’s! Stacey participates in continuing education online classes concerning product use, nutrition, and holistic natural remedies for animals. Emmalee, an animal and nature lover, has had a special love of dogs ever since she can remember. Growing up, her family was never without a dog for long. In fact her last family dog, Frosty, a small poodle mix, lived to be 17. During early and mid-adulthood, Emmalee owned cats as her busy lifestyle didn’t allow for dogs. However, during these years she yearned to be a dog mom. In 2007, she adopted Angus, the runt of a litter rescued from a high-kill shelter in Tennessee. Perhaps related to his difficult start, Angus has had a life full of behavioral issues. In spite of some of his behaviors, Angus, who is a highly intelligent and beautiful boy, is loved enormously. Although Emmalee feared Angus would never get along with another pup, in 2012, Oliver joined the family. He had been spotted running the streets in Burley with is birth mom and litter mates. Maybe it was because Oliver was only about four months old but Angus never even growled during their first meeting. It wasn’t long before Oliver convinced Angus he was the boss. Well, aside from mom of course. Emmalee is somewhat new to grooming, having become an apprentice at Canine Design in January 2015. She occasionally still wears her master of social work hat continuing some hospice work but spends the majority of her time with man’s (or in this case) woman’s best friend. She is extremely happy to have the opportunity to groom your dog or your kitty. And yes, there are three cats in her household as well. My name is Jennifer Castilleja. I am married to Marco and I am a mother to Luke. I have been a pet stylist for over 20 years! My first job and most of my training has been with Stacey. My first job as a bather took place when I was 19 years old. 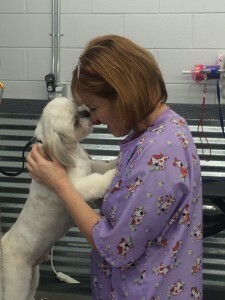 I really enjoy my job, as well as the clients and their pets. I started out doing only a few scissor clips or poodles, but I now do quite a few on a regular basis and they are one of my favorites. At Canine Design, we strive to be the best at what we do while keeping the salon safe and clean. I’d like to say Welcome if you’re a first timer and Thank You if you’re a regular client! Some of you may already know Diane. She actually taught Stacey how to groom way back in the olden days! Diane is filling in on a part time/as needed basis. Her stylist skills are exceptional! Her own dog, Poppy, came from the shelter and usually accompanies her to work. 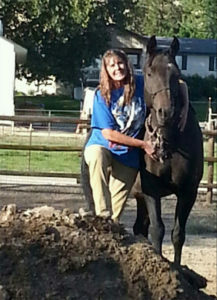 Diane has an excess of 20 years grooming experience and was a successful groom shop Owner and Operator for many years. Her expertise and can-do attitude are a wonderful addition to the salon. Welcome, Diane! 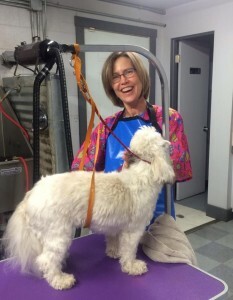 My job as a dog bather started at Canine Design with Stacey Sullivan. I have interest in bathing since I love being around animals. Horses and dogs have always been in my life! I have bathed at three other locations and I’m glad to be back with the best here at Canine Design! My name is Aleisha Willis and I was born to be with animals! Growing up, my family had a plethora of animals, ranging from cats and dogs, to more exotic. We had random rescues and saltwater aquariums.I currently share my house and life with Gracie, a 10 year old, shepherd/corgi mix and Kitty Meow, a Bengal Tabby cat. I have always had a strong will to help those who cannot help themselves. My grooming career is 5 years strong and I plan to keep on growing and growing my skill set to continue to provide quality care for my client’s pets. Want to become a member of Stacey’s Canine Design team?